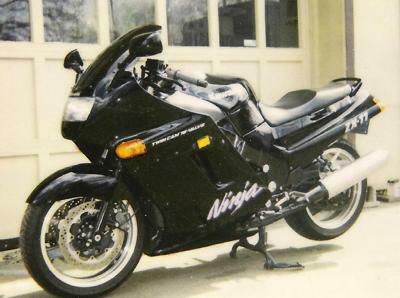 1992 ZX-11 Ninja, C model owned by a former Weeks employee. It is parked in front of the old NJ shop. Rob ran a 10.44, 138mph @ Raceway Park in Englishtown, NJ with this bike. I remember that bike! I miss Weeks. There are no good salvage places left in Jersey since Weeks & Barrys closed.